Pain, Parties, Work: Sylvia Plath in New York, Summer 1953 by Elizabeth Winder is atmospheric and an indulgent retrospective of the lives of Mademoiselle‘s summer guest editors, who were hand picked from a bunch of college essays and pieces submitted by college women. The magazine was not only known for its fashion and celebrities, but also for the writing it published from heavyweights like Dylan Thomas and Truman Capote. Additionally, the magazine published its college issue. “Sunday at the Mintons” by Sylvia Plath, a short story, earned her a guest editorship at the magazine, a summer that became the basis of her novel, The Bell Jar. Winder bases her “loose” biography on interviews with those summer guest editors and others who had contact with Plath that summer, which are backed up by letters and journal entries from Plath herself as much as possible — though there is the pitfall that some memories may be nostalgic or missing certain truths about that time as memories fade. From the moment she sets forth in New York, readers are introduced to a different Sylvia Plath from the moody and dark one they have come to know. This younger version of the writer is full of whimsy, loves fashion, and is eager to please. Her Northeast upbringing probably instilled in her a deep sense of courteousness and decorum, but there were also inherent eccentricities already present in her character, especially during one luncheon in which she gobbles up all of the caviar appetizer without sharing. A commune of young women was built at the Barbizon Hotel that summer, as many of the young women wanted careers and still to raise families in a period of history before the pill was available and before career women were considered part of the norm. While Winder provides a great many anecdotes about Sylvia from her fellow guest editors and roommates, there seems to be a disconnect between the Sylvia these women saw and the Sylvia that was. At the outset, Winder tells the reader she wants to paint a different portrait of Sylvia Plath than the iconic one we all know of the suicidal poet. And while she succeeds in showing a “good girl” that was Plath in her 20s, she also demonstrates how as a young woman free from the constraints of her own society, she was given more freedom to pursue men and other experiences, to which she might not otherwise have been exposed. And like many young women — and even men — still finding their place in the world and how to accomplish their goals, they often suffer from the “grass is always greener” problem when the reality of their ideal opportunity is not as wonderful as it has seemed from afar. There were some among the guest editors in 1953 who were given menial tasks and envied Plath’s work with Cyrilly Abels doing rejections and editorial work, but Plath languished in the role and her talents for graphics were cast aside in favor of her fiction-writing talents. In many ways, those who believed in her talent had begun to stifle it. While she may have looked the part of a professional interviewer and editor, Plath was chained to a makeshift desk that anchored down her spirit, while many of the other girls were enjoying their time as editors — meeting Plath’s hero writers and attending dinners and events. It seems that this separation isolated her from the other guest editors, even though on the outside she was conversing with them and enjoying their company as well as the company of many strange men throughout New York. 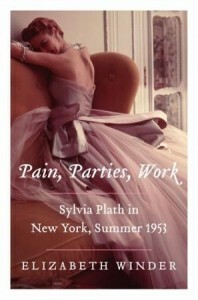 It is too easy to suggest that Pain, Parties, Work: Sylvia Plath in New York, Summer 1953 by Elizabeth Winder aims to undo the iconic woman that is Sylvia Plath, but it does provide a wider view of her whole person. Not just the mother, burdened artist, and ex-wife of Ted Hughes, but the spirited poet who was stifled by a dream job that she saw as a launching point who succumbed to her tendency to depression upon her return home after a series of unrelated rejections flooded in after that summer. Plath was a woman plagued by her own dichotomies, who was unable to break free from the labels of society without the guilt that accompanied those actions, but she also was talented and burned brighter than many other women of her age. What Winder succeeds in doing is providing an excellent look into 1950s New York and the pressures these young women faced as progressive ideals began to emerge. Elizabeth Winder is also the author of a poetry collection. Her work has appeared in the Chicago Review, the Antioch Review, American Letters, and other publications. 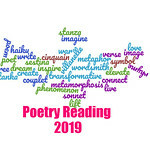 She is a graduate of the College of William and Mary and earned an MFA in creative writing from George Mason University. This is my 20th book for the 2013 New Authors Challenge. 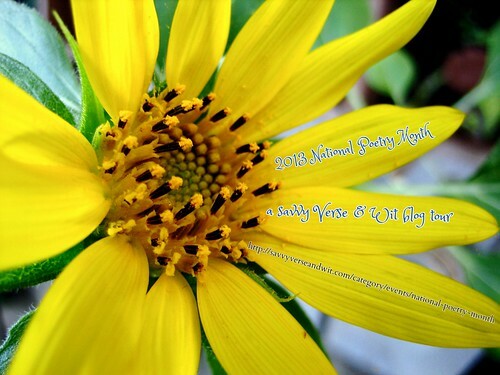 Please click the image below for today’s National Poetry Month Tour Post! I couldn’t have said it better…I think young women today who have a difficult time navigating society have no idea what it was like for Sylvia’s generation…the generation that grew up right smack in the middle of all the changes, torn constantly between which roles they were supposed to play…even in the midst of groups where they felt they were liberated, they still were asked to fetch the coffee. Talk about a schizophrenic existence! Enjoyed your review. I just started reading this and got irritated with it. It sounds like you liked it pretty well, as a different point of view, at least. I thought it was interesting and like the atmosphere. I really felt like I was brought back to the 1950s. What irritated you? Like Anna, I don’t know much about her personal life other than her suicide. This sounds like a really interesting perspective into her life. It is a great look not only at her early years, but also at the time period and the pressures that women faced. I don’t know much about her personal life, other that the suicide, etc., so this sounds really interesting…especially since I’ve read The Bell Jar a couple of times. Great review! I know the name Sylvia Plath, of course, but I know very little about her. This book sounds fascinating.